Mahesh Babu enjoys a huge fan following in USA and even his disastrous film collects over $1 million in this territory by the end of full run. As expected, 'Spyder' generated a mammoth revenue of $1 million with premieres itself. The Mahesh-starrer has surpassed the premiere count of 'Jai Lava Kusa' ($588) by a healthy margin. As per trade circles, 'Spdyer' is only next to Baahubali 2, Baahubali 1 & Khaidi No.150 in premiere collections. It's the 3rd Best Premiere revenue in the year 2017. 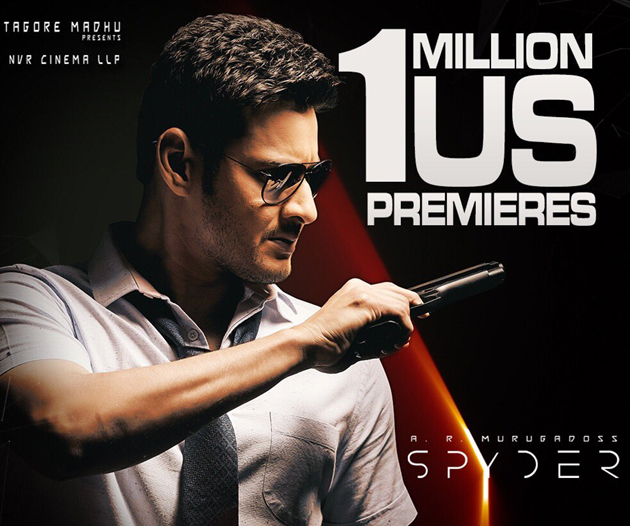 'Spyder' is the fourth consecutive film of Mahesh Babu to collect over half-a-milion dollars with Premieres alone. In fact, Mahesh is the only hero to have four films in the list of Top 10 US Premieres. Sam Is In No Mood To Change The Costume!